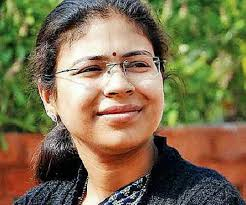 Coming out in support of suspended Uttar Pradesh IAS officer Durga Shakti Nagpal, Congress President Sonia Gandhi has asked Prime Minister Manmohan Singh to ensure that the officer is not unfairly treated. “We must ensure that the officer is not unfairly treated,” she told the Prime Minister. Nagpal had shot into limelight by acting against the powerful sand mafia in the state. “This particular instance has highlighted the need for assessing whether there are adequate safeguards in place to protect executive functionaries working beyond the average call of duty to uphold the rule of law”. “The implementation machinery must feel that the conditions are conducive to the delivery of public services without fear or favour,” Gandhi said. Nagpal, whose cadre was changed to Uttar Pradesh from Punjab in August last year, is attached to the Board of Revenue in Lucknow.Gandhi’s letter to the Prime Minister has come amid growing demand for revoking the suspension of the IAS officer. The Centre had earlier said that it was awaiting a report from the UP government based on which it will decide the future course of action.”We are awaiting a report from Uttar Pradesh government. As per rules, state government needs to send a report (on suspension of an officer) to the Centre which is awaited,” Minister of State for Personnel V Narayanasamy had said. He said the future course of action will depend on the UP administration’s report.